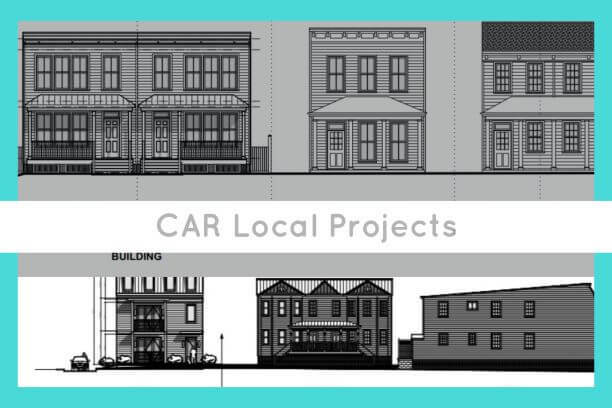 It’s a packed agenda filled with a lot of local projects to consider on the next CAR meeting! This meeting will be held on Tuesday March 26th on the 5th Floor Conference Room of City Hall at 3:00 p.m. Let’s get started! Before we start, let’s consider why these are important. The comments that you make on this site or social media are not part of the official record, so if you have a specific concern, be sure to make it to the meeting or contact CAR directly. During the CAR meetings, public comment are heard after the applicant’s explanatory remarks of the case and before CAR deliberation. Ok, NOW let’s get started. 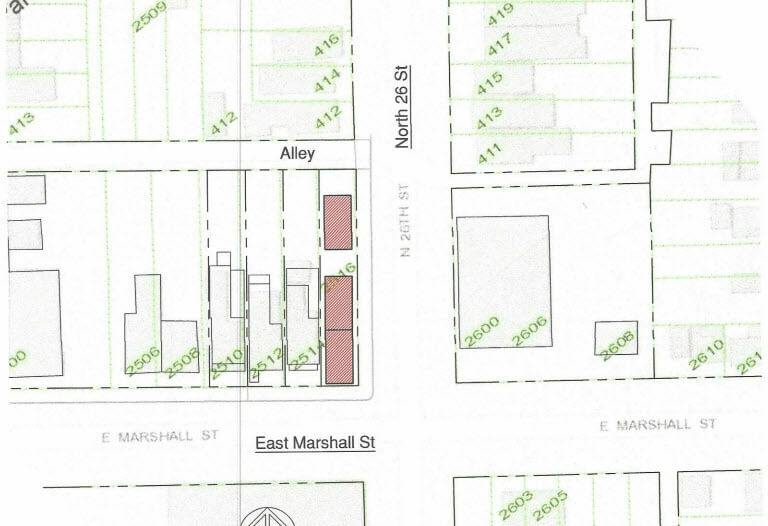 COA-050743-2019 – 101 North 29th Street – Amend previously approved plans to alter the porch enclosure and garage. COA-050176-2019 – 807-809 North 24th Street – Construct two new, semi-attached, single-family residences. COA-050178-2019 – 418 North 23rd Street – Construct a new single-family residence. COA-050750-2019 – 2007 Cedar Street – Construct a new, multi-family residence. 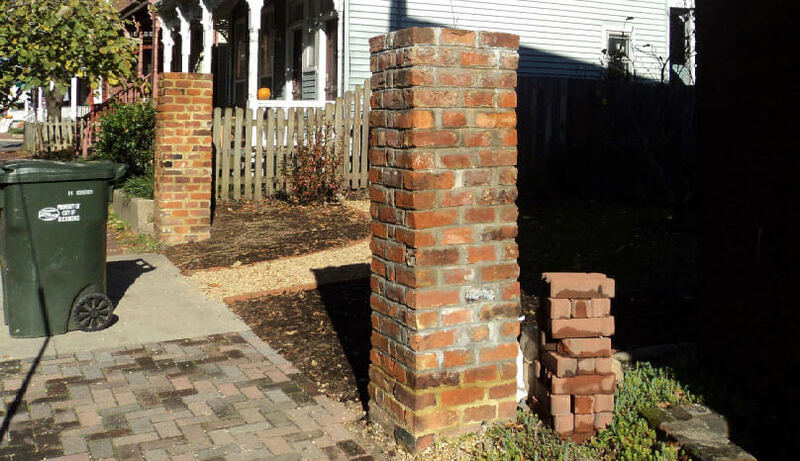 COA-050421-2019 – 3315 East Marshall Street – Replace decorative steel posts on front porch with wooden posts. COA-050780-2019 – 2901 M Street – Construct two new, semi-attached, multi-family residences. COA-050433-2019 – 411 North 22nd Street – Construct a new, single-family residence. COA-050408-2019 – 2311 Carrington Street – Construct a new, single-family residence. 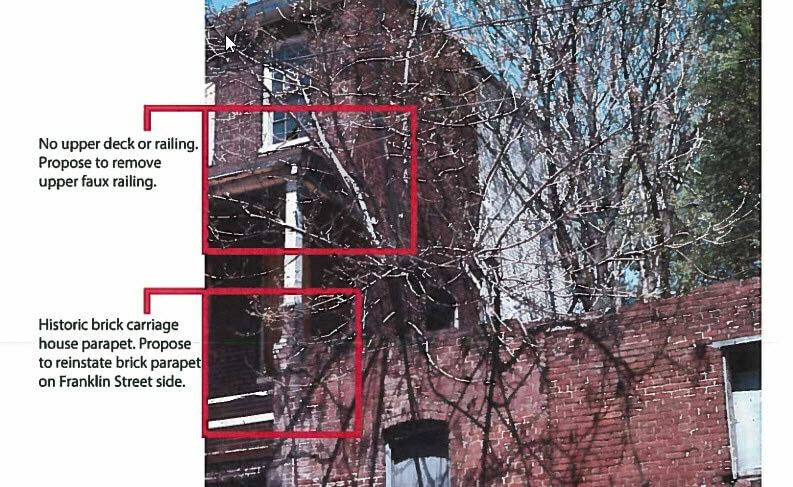 COA-050423-2019 – 2816 East Franklin Street – Demolish a one-story, masonry garage, and construct a new, two-story accessory building. COA-050404-2019 – 2516 East Marshall Street – Construct three new, single-family residences. COA-050218-2019 – 962-964 Pink Street– Construct two new, single-family attached residences. 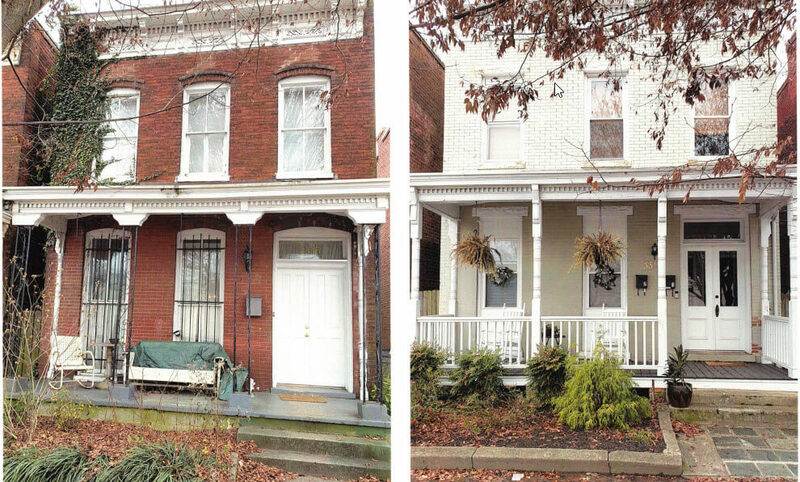 COA-050432-2019 – 19 North 29th Street – Partially enclose and screen-in a rear porch, and add glazing to an existing door. Check out all the cool projects, folks. Lots of info! The business portion of the CAR meeting begins at 3:30 and the Commission begins the review of projects at 4:00. I know these take so much time—thank you thank you for always putting them together! You’re probably one of the few who appreciates these! I think they’re fun- especially reading the proposals. 2516 E Marshall Street is comically awful! What the hell are they thinking??? Also – I enjoy looking at these as well. I’ll second what Chloe said: thank you! The idea with new infills, and has always been on the books, is that they look like structures in the immediate area. If there are Victorian Italianate then, that is what the new buildings should also look like. From the sketches, the new structures seem to fit that bill and I am not opposed to them. ? The only objection I have are with the porch roofs, especially the hip roof designs. I am seeing them being built new as well as being rebuilt, incorrectly with the angles off or having no curve to them, like the originals. 2516 E Marshall is NOT OKAY. I am on that block and SEVERAL of us are going to CAR on Tuesday to protest this plan. Please join us and if you can’t come, write a letter and we will take it with us!!!! This would mean that 1) it can not be taller than the surrounding buildings and 2) E Marshall is the prominent road in this case and one of the houses need to face it. Oops… I found and saw the new construction line drawings (should have a better computer-generated illustration of how they will look in reality). There are pros and cons. I get it where they are trying to maximize the space – more bang for the buck. And they are trying to match the Nolde’s building architecture across the street. But at the same time, not sure how the CAR will chime in on the one aspect about a new infill should face the prominent street (E Marshall)? The application for 2516 East Marshall Street has been withdrawn from the CAR agenda for tomorrow, March 26. It will not be considered at the meeting. The lot these are being built on is owned by Romero LLC. 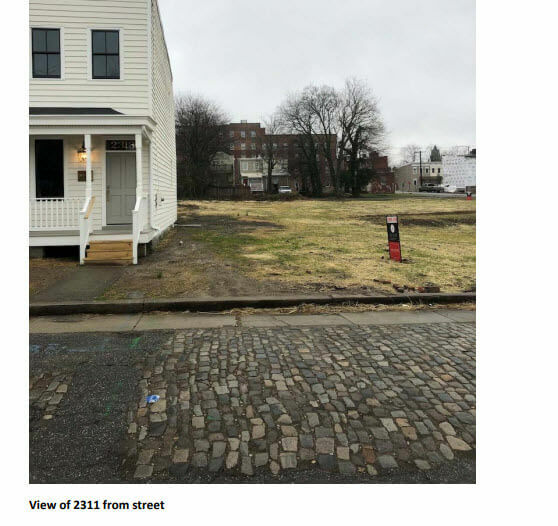 So is the empty lot across the street listed as 315 N 26th Street but it is 35 feet shorter. Can just eliminate the courtyard and place it there and it is not in the O&H District. And he could have also sold the house (2603 E Marshall) next to that empty lot parking since he owns it as well and sold it for a good price. The configuration then would have allowed a Marshall Street frontage making an L shape building and still have space behind for a courtyard and would be on a block with an industrial commercial residential building. Kim Chen the 2516 E Marshall St proposal still appears on the agenda for tomorrow’s meeting. How can we validate your information? Until Kim chimes in, read the top block of Page 2 of this CAR Staff Report which denies the developer’s proposal. Eric – i appreciate your recommendation to read the second page of the report. While I’ve read the report in its entirety Saturday, I didn’t see specifics to it being removed from the agenda. I don’t want to assume that I don’t need to attend the meeting as I wouldn’t want CAR to have the impression that residents are not opposed to the plan as well for similar reasons reflected in the staff comments. Heather it was withdrawn from the agenda this morning. Call 646.6335 to verify. I was able to confirm Kim Chen’s information and it has been removed from today’s agenda. Hey, I’m new. What doe CAR stand for? Actually, it is Commission of Architectural Review.